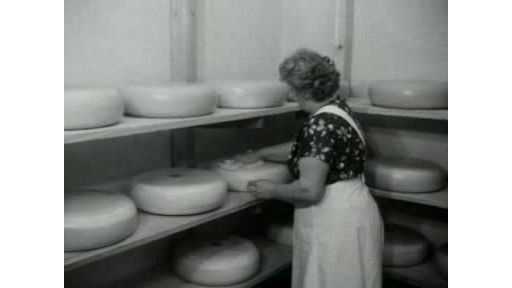 75 year existence of the cheese market in Woerden. Milk is taken to the cheese farm by horse and cart. The milk is coagulated, the curd is seperated from the whey and is pressed to cheese, that is then put on a wooden board. At the market the cheese is sold by clapping hands.